WitBlade specializes in the application of Schema.org code to any website. SEO is no longer just about keywords and backlinks and has evolved into a more complex approach that requires additional skill and knowledge to correctly apply. We are slowly entering a world where search technology and artificial intelligence are becoming more and more adept at identifying “entities.” Google, Bing, and Yahoo are very interested in returning powerful results that answer the user query. Schema.org was developed to aid in this process by creating a hierarchy of “things” or “labels” to apply to an entity. 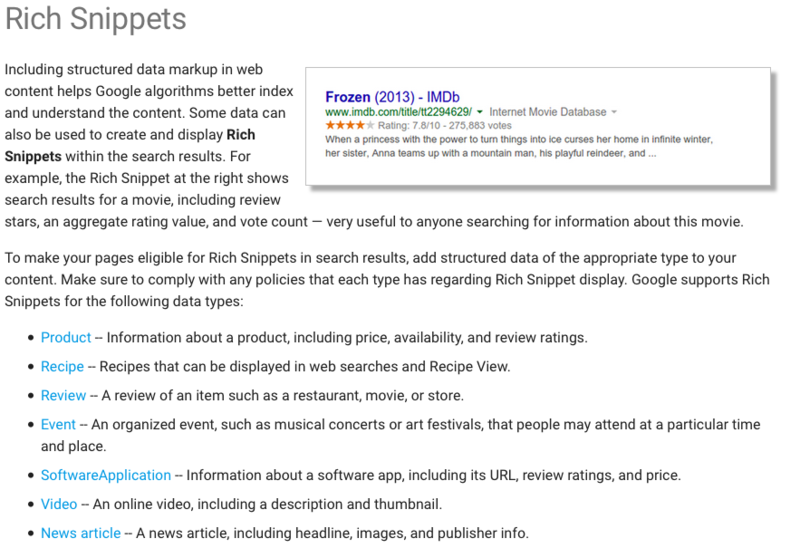 Is your website eligible for rich snippets within Google’s search results? Consulting – What is Schema.org markup? Why is it important? Does my website or e-commerce store require this markup? Application – Using micro-data or JSON-LD to correctly declare entities on your web pages or social properties. That’s right, social properties are also included. Testing and Validation – Does your schema.org markup validate? Did you apply the ideal code? Error cleanup – Does your website return errors in the Google structured data testing tool? Local businesses in particular can see a huge boost from correctly applying this new form of search technology. In the past, Google had to visit your website and attempt to determine what it was about from the “old school” code that makes it a website. Now, you can offer Google a more advanced and detailed payload of information that helps it understand your website, service, product selection and location. And as you might imagine, they love this! One of the most powerful benefits you can add to your online store is the correct application of semantic markup. If you run an online store and don’t know if you have taken advantage of this, give us a call! Wouldn’t you love it if your products took up more real estate in the search results as opposed to your competitors? Rich snippets are designed to do just that and come as a reward for correctly informing Google, Bing, or Yahoo that you carry a certain product that they can definitively identify. Visit this page to fill out the discovery form that will allow us to evaluate your SEO web presence. If you are unsure if you need this service, feel free to give us a call ahead of time for a quick no-obligation analysis on whether or not your website may already have semantic markup. Some sites already have it, however it is often too generic or broad and not specific enough to your niche or industry. Remember, any type of website is eligible whether it be a blog, store, news website or local business website. We have no problem answering your questions, so just give us a ring to get the conversation started!